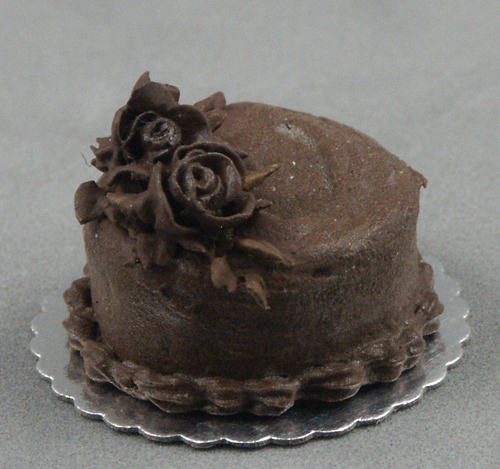 Chocolate roses on a chocolate cake 7/8"
Chocolate roses on a 1" high chocolate cake. 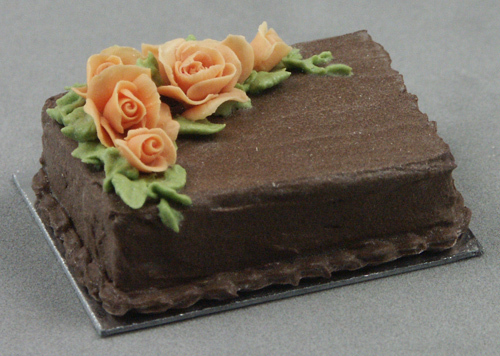 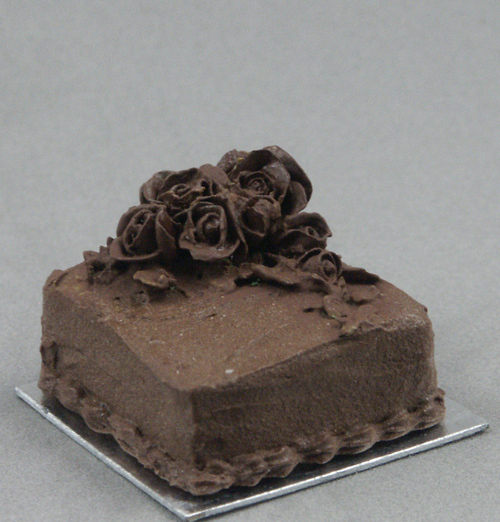 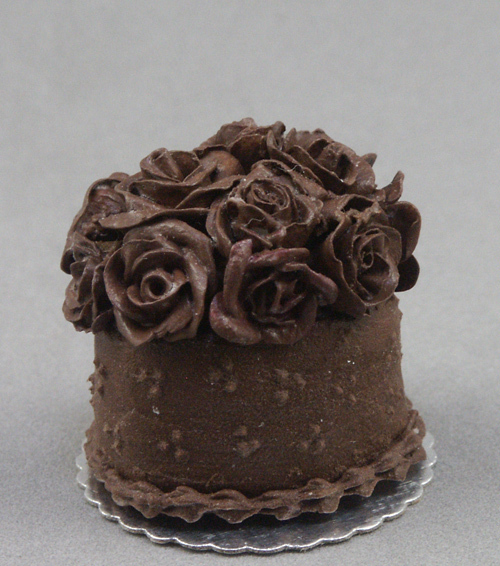 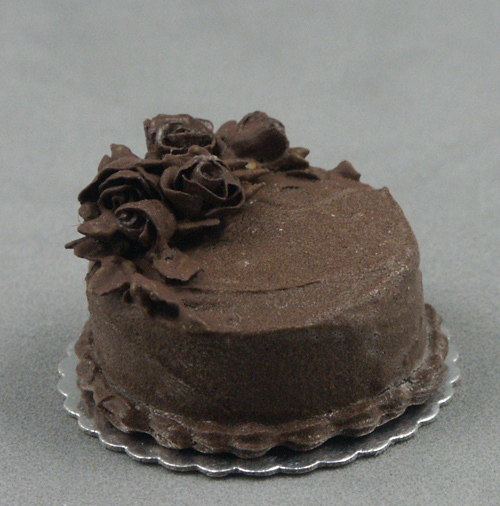 1" x 3/4"
Chocolate CP roses on a chocolate cake. 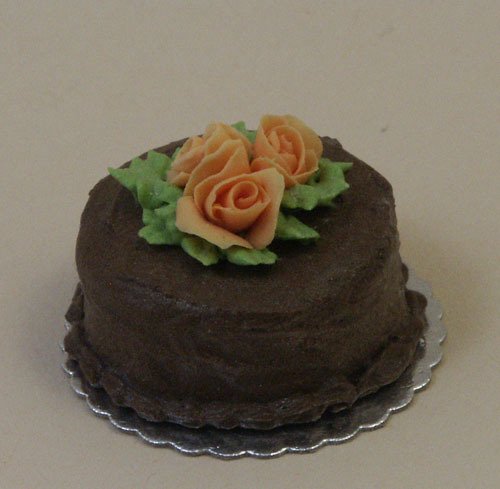 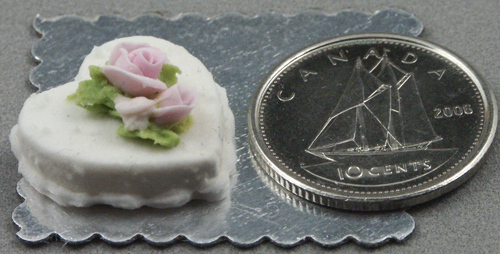 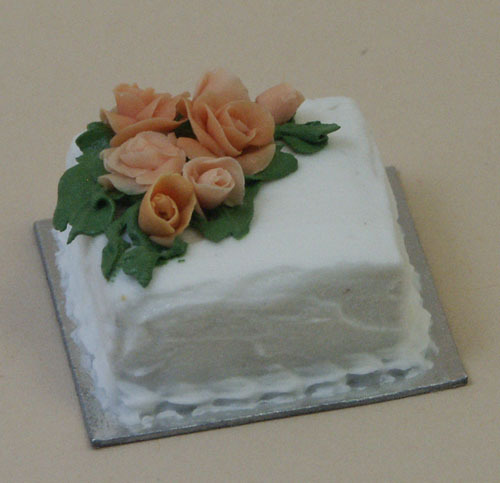 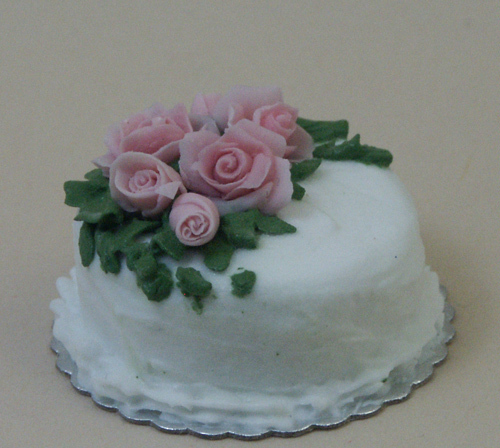 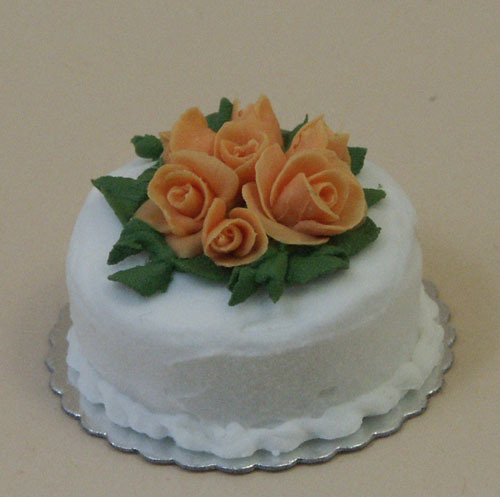 3/4"
Peach Roses on a round, chocolate cake. 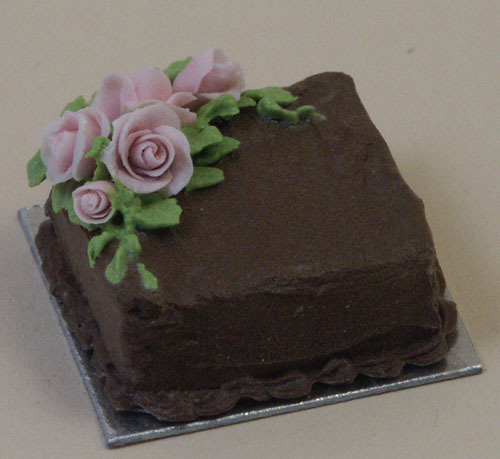 7/8"